sekretär coworking leipzig is a place to work, to connect and to cooperate. 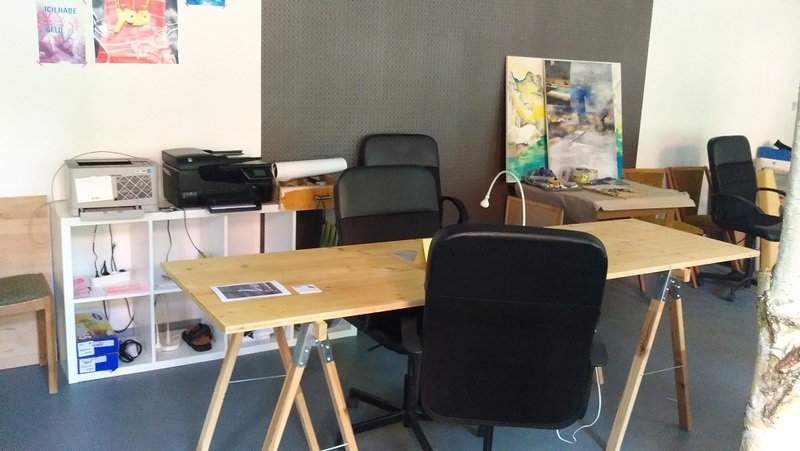 Located just ten minutes from Leipzig’s central trainstation and surrounded by a vibrant mix of spätis, cafés or nice food joints around the Eisenbahnstraße, this place is ideal for creatives who need a central and calm desk. Our beautiful office is located next to a church in an old Gruenderzeit Haus and already hosts people working in web, art, design, journalism and science. You can try a desk too starting from 95 € per month or just 75 € per month for a minimum period of three months. Just write us a little about you and come over!